Investing in Internet marketing is one of the best ways to find quality leads and generate great revenue. I’m sure it might feel like you’re being beaten over the head with the mantra… that the Internet is the future of commerce. Well that club needs to keep beating. Here’s why. Content marketing is hot right now. 80% of b2b and high-value consumer purchasing decisions being researched well before being made. This means that before people feel comfortable buying a house, getting a loan or looking for online schools, they’re spending time on the Internet doing their due diligence and researching their decision. Another thing to think about Inbound leads cost a substantial 61% less than outbound leads. For your company that can mean greatly increased profit margins. Blogs account for a substantial amount of lead generation with 51% of business generating leads from their blogs. And not to be outdone, social, mobile, and e-mail marketing continue to drive in business like gangbusters with mountains of evidence indicating their effectiveness for lead generation. The Fact Is, More And More People Use The Internet Before They Make A Decision To Buy Something. However…there is an unfortunate aspect to the explosion of Internet marketing. It’s a complicated beast…and it continues to grow more complicated as the market matures. It’s easy to be overwhelmed by the amount of information available. There are a plethora of tactics and methods that you need to be familiar with. Whether it’s SEO, PPC, SEM, CPA, EPC, Content, Copy, or A/B split testing, the sheer amount of information that you need to be familiar with is staggering. That’s why if you’re considering pursuing a more robust Internet marketing strategy; it’s in your best interest to consider working with a lead generation agency. Not only are lead generation agencies familiar with the applications of these business technologies, they’re competent in using them for huge gains. Increasing the number of leads you acquire. Reduce the cost to acquire leads. Increase your overall profit margins. Convert at a higher rate. …a lead generation agency is an option that you definitely should consider pursuing. Look For These Attributes When Looking For A Lead Generation Agency. Proven history of increasing ROI - When working with a lead generation agency, this is a non negotiable. An agency needs to be able to prove their proficiency for increasing profits. Ideally the lead generation agency you’re considering has a few different strategies for helping you boost ROI. They should be able to help you lower costs, increase the quality of leads you bring in, and optimize your website and marketing campaigns. When consulting with a lead generation agency they should be able to prove (have them SHOW you) they’re effectiveness for providing new leads and increased profits. Make sure they’re able to offer you case studies, references from satisfied clients, and hard data they’ve extrapolated from implementation of their processes. They need to have comprehensive programs that will positively affect your companies bottom line ready to go from day one. If their track record is spotty, thin, or non-existent…it might be best to avoid them. Has the ability to track progress – Testing is a must. A dependable lead generation agency should be able to refine your business’s operations and help increase conversion across a broad spectrum of implementations.Can they show you where you’re under-performing? Are they able to offer you solutions to problems? Can they track where your traffic is coming? Can they help bring in more traffic? Can they help to adjust your website so it performs better? Bottom line, a lead generation agency needs to have a holistic approach for your company. They need to offer multiple solutions for increasing the number of leads you find, while reducing the cost to get those leads. They need to be able figure out what marketing campaigns are working for you, and they have to work to enhance where your company is struggling to convert. Again, they need to PROVE this to you before you bring them on. Have them sign an NDA and show you some past reports with their clients names removed and or a one page mock of plan of what they would do to improve your internet marketing. Helps to increase conversion – A lead generation company should be able to increase conversion. Period. How they go about doing says a lot about the company and their ability to effectively generate quality leads. Find out if they’re able to eliminate fraudulent and poor contact leads. It’s one thing for an agency to get you more leads..it’s another thing entirely for the leads to be quality and profitable. Crap leads means fewer opportunities to close. 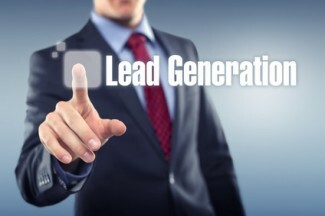 Furthermore, once those leads arrive to your website does the company have a dependable way of turning the leads into possible sales opportunities? Do they have the ability to produce good landing pages (Again, have them show you real sites and what the increase in conversion was)? Are they conducting split testing to see what ads are converting better? Are they conducting split tests for landing pages, opt-in forms, and call to action copy? How are they doing this? What technologies are they using to accomplish this. What are their specific methodologies in conducting these test? Leads that aren’t being converted are useless. It might sound like I’m beating a dead horse here, but if they’re bringing in new leads, and these leads aren’t consistently turning into sales, you’ve got problems. You either have poor quality leads or poor quality conversion…or both. A lead generation company should be able to positively affect both metrics, and should be able to ascertain where your company is struggling to perform. Is creative and inventive – As I mentioned earlier, Internet marketing is complicated. It’s constantly evolving, and what was proven to work before, might not work today, or in the future. You need to work with a company that has a vision for success. Not just for your company…but their platform should be shaped around being adaptable and innovative as the market matures. Make sure that they understand the direction of Internet marketing and are able to integrate your companies product and services seamlessly into these profit paths. Do they know how to use local search techniques and integrate that into mobile marketing? How are they leveraging social media to move traffic to your site? Have they used affiliate marketing and what was their success with that? The cutting edge isn’t cliche, it’s where money’s made. Early adaptors of technologies like social media, mobile marketing literally “cash-in,” while others are racing to catch up. Can help protect your brand – Your reputation on the Internet can easily be tarnished and maligned. All it takes is a few unhappy customers, affiliates who didn’t get paid on time, or rogue cyber terrorists intent on hurting your brand to undo all of your hard work. A good lead generation agency will implement strategies like affiliate marketing management, e-mail marketing, and others to bring you business. In doing…they should have protocols in place to help manage your brands image as they use these tactics.Are they scouring the internet for negative reviews of your company in order to rectify problems? Do they utilize software to help manage your reputation? Are they searching for sites that are infringing on your site and marring your companies brand? Do they have software that helps you to run legal and safe e-mail marketing campaigns? These are the tools that an agency needs to be able to provide you with before you utilize their services. Bottom Line? A Lead Generation Company Can Work Wonders For Your Business. At the end of the day anyone (yourself included) is capable of running an Internet marketing program. That being said it’s a very time consuming and difficult undertaking, even for the advanced Internet marketer it can prove to be too much to handle. If you’re looking for professional help, pursuing a relationship with a lead generation agency is probably in your best interest. Working with a lead generation agency will give you an objective, 360 degree view of how your company can confidently move into the future and make more money doing so much quicker. In an article I wrote about Lead Generation Companies increasing ROI, I prove that monumental increases for lead generation and dramatic decreases for the cost to do business are possible. Agencies with proven abilities for increasing ROI are a surefire way to make success automatic. Have you considered working with a lead generation agency? If so, what are the biggest concerns or considerations you have in regards to hiring them? Please let us know what you’re thinking in the comments below.